I was recently interviewed by the very lovely and knowledgeable Sian Phillips for tweakyourbiz.com (previously known as Bloggertone) This is what we got to talk about. I had the pleasure of visiting The Secret Garden Centre in Newmarket, Kanturk County Cork a couple of years ago and have kept in touch with Brian Paterson ever since.His story about their relocation to Ireland and subsequent life changes fascinated me and now seeing how well he is doing with Social Media, I thought it would be nice for him to share that story. Recently shortlisted for the Green Awards and Entrepreneurial Business Awards it has been a great year for them so far. Brian tells me about the move, his views on Facebook and how having a website has really helped his business. Plus the new Pinterest and how that has become their second biggest referrer in a short space of time. Why a Garden Centre in Ireland? What was your inspiration? Great question. Red wine and Gardeners World magazine are all to blame. We had been talking about downsizing and moving out of London for some time due to the issues of commuting, pollution, workloads etc. So one evening while reading Gardeners World Magazine with a glass of wine an advert for a garden centre in Co Cork was seen. A phone call and a trip ensued and some 15 months later, we arrived in a wet May 2002 and threw ourselves into our new lives and business of running a garden centre. Our inspiration came from a place we used to visit just outside of London called Fanny’s Farm. This was a mix of plants, cakes, veg, flowers and animals – all of which were our passion. 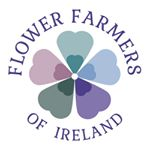 After visiting Ireland we could see that there was potential for us to develop the business into something similar to Fanny’s Farm while incorporating our own green values. What is your business background and how does the family set-up work at The Secret Garden Centre? My own background is in social work and I still practice, working part time for Acquired Brain Injury Ireland since 2004. Prior to moving over to Ireland in 2002 I was working part time in a garden centre in South London as I wanted to learn about horticulture. This passion for gardening was developed through doing up untidy, unruly gardens of the houses we owned as well as implementing garden projects in the family centres and children’s homes that I worked in. Previous to working in horticulture, Sarah had a wide range of experience including retail, sales promotion, marketing, publishing and event management. Previous employers included the BBC and Virgin Atlantic as the Inflight Entertainment Manager. When we first came over Sarah and I worked in the garden centre full time, however in 2004 Aaron joined our midst followed by Joshua in 2006 and they added new challenges to how we managed the business. The boys were quickly introduced to the world of the garden centre so with a combination of grandparents support and the purchase of a pouch/carrier it meant we could carry on as usual and the boys enjoyed the fresh air and hopefully have taken on the love of plants and abundant wildlife that was around them. Our eldest was well able to repeat the Latin plant names at three however he has been distracted by new interests now. You have a great Facebook page and following and seem to prefer it to Twitter. Why is this? Thank you (said with a blush). The Facebook page for me is about engagement, with a huge social element without a constant hard sell. I like that our posts get responses and have been fortunate that this has been the case from the start. Had I been posting without any responses I think that would have made it harder and may have led to me aborting Facebook. Facebook is, and was, more visual than Twitter when I started out in February 2010. As you know I was originally a tweeter and you introduced to me to the idea of Facebook (Sian is blushing now). Given that our location and product is so visual Facebook is a great way to promote ourselves and the engagement has been fantastic. We were shortlisted as Finalists in the Social Media Awards last year for “Facebook Page for a Business” category and I said then it would not have been possible without the support and engagement of the people liking our page. The other element of Facebook over Twitter is that up until recently when you posted on Facebook a high percentage of your likes saw what you had to say whereas within Twitter it is more the here and now. Twitter for me is a mix of tweets which are statements, i.e. events, some conversations and chat (which I have less time for now with two boys social lives to manage) and of course the responding or retweeting of the pages you like. Facebook is the same but there is more of a natural flow and still makes sense hours and days later. What do you think of the new Facebook timeline layout? The positives for a brand or company page are that the content is front and centre. Posts are bigger. Images are bigger. Videos are bigger. Content can be pinned. It can be starred and stories made even larger. So it makes the selling of us easier….. However, once the initial liking a page is done, the majority of engagement on posts tends to take place through the newsfeed or ticker, so it makes little difference other than adjusting to the changes. What is great is the ability to receive and send messages as The Secret Garden Centre rather than having to use a separate profile to do this. Direct communication. What difference did having a website make to your business? Why did you decide to have an online shop too and has that helped trade to the Garden Centre? We were fortunate that a friend developed a basic four page website when we moved over, however the SEO was not great and I wanted to change it. So with research, reading, tinkering, making errors, panicking, then fixing the errors I started to alter the content, add new pages and improve our SEO. I added an external shopping cart, initially through Easyspace, as I was aware that there was a developing market for online sales within Ireland as broadband was being introduced, and there were only a small number of garden centres selling online at this time. I quickly learned however that I was paying for a service that was not adding to the content of my site or improving the SEO for the site and was only just covering the monthly cost. So as sales were low I wanted to alter this. A consultation with one of our customers took place and our site was developed in January 2011 with a new look, an integrated shop and through the use of WordPress I was able to retain control of adding and altering content while still using my basic web skills. In terms of trade we won’t be investing in a luxury yacht just yet. However our e-commerce presence has expanded our market and allows customers throughout Ireland and beyond to see our product range and even if they don’t buy direct they have used it as a window to explore what we offer and can end up visiting instead. The Secret Garden Centre is such a beautiful place to visit and needs to be seen in person, not just online – what do you do to attract new visitors? Aside from the normal advertising methods, for the last 3 or 4 years we have offered free courses and events with both internal and external speakers, provided specialist training with outside speakers, held quarterly food and craft markets and attended specific markets and plant fairs. In 2009 we developed our T Room (Tea, Training and Therapy) and developed a training area with raised beds and a poly tunnel. The tea room is stocked with craft items from local traders as well as a select gardening and home gift range. We also provide materials and time to local schools and community projects. This has led to return visits from community groups and is one of the key elements of survival remembering that our community and local customers have supported the garden centre since it opened. Pinterest seems to be the new big thing in the world of Social Media. I see you are doing well with it already. Do you find it is helping your business? I have ventured into the world of Pinterest and was intrigued to find out more as it was certainly being tweeted about, although I found mainly by women. With the exclusive invite received I ventured, pinned and spent many an hour looking at beautiful images. Again it is a very visual medium and seems to be working well in that the images of flowers, products and of the garden centre have been repinned, liked and commented on as well as having created a significant amount of referral traffic to the website in a short period of time. It’s the 2nd highest referrer for us and catching up to Facebook very quickly. It is still early days to say whether it has brought back a return as the bounce rate is high. However with the articles from you on Pinterest help, Amanda of Spiderworking.com and Lorna & Marie of Write on Track I am looking at how Pinterest can be used more effectively rather than just the many stunning images on it. For me the element of Social Media is that it has allowed us to expand our catchment area as well as engage with customers. It is one of the factors that has changed our business presence from being a local garden centre to a destination garden centre as we can highlight events, promotions and new products without breaking the bank. A huge thank you to Brian for giving us his insight into how Facebook, Twitter and Pinterest are working for him and the background of setting up their business in Ireland. I would highly recommend a day out to visit The Secret Garden Centre as it does a whole lot more than selling beautiful plants.